It’s time for qualifying matches for the next world championships in December. Two matches caught my attention. 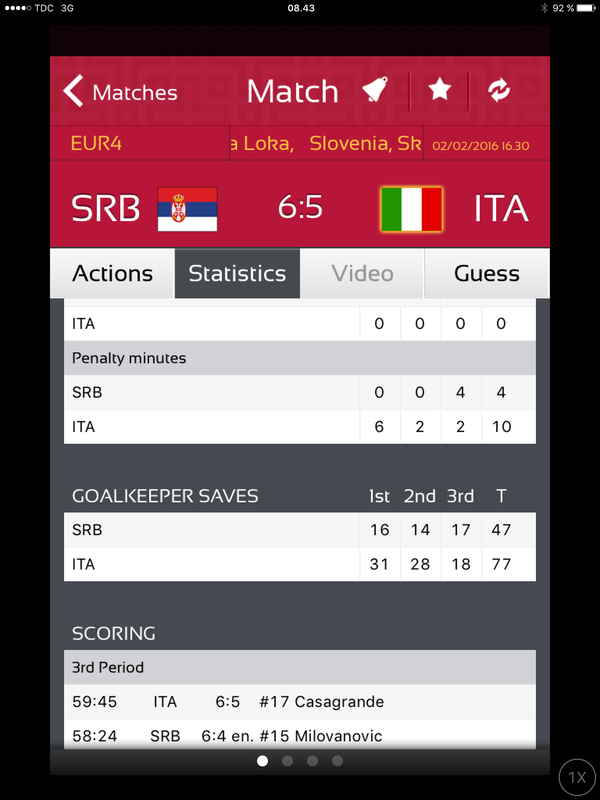 First the match Serbia vs Italy, a thrilling match that ended 6-5 for the Serbs. But take a look at the number og saves the goalies made. 124 saves in 60 min, don’t come and say this was a boring game, though one or two coaches must thought on how to take out the steam out of the game. The other match, was the Czech playing Liechtenstein and that game ended 35-0. The Czech is a world class team and even they did take the foot of the pedal for the last two periods, the goal is was more than busy.